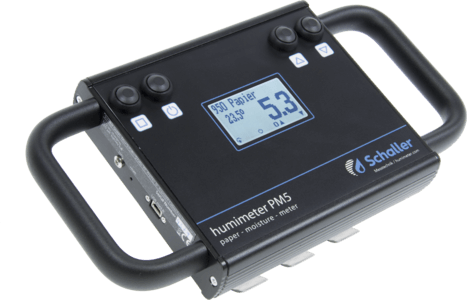 The humimeter PM5 paper analyzer for paper manufacturers, paper processors and paper retailers, for a non-destructive determination of absolute moisture of paper and cardboard at warm, running paper rolls as well as at stagnant, cool rolls. With non-contact infrared paper temperature measurement. 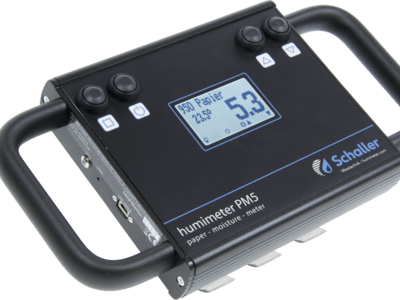 Non-destructive measurement through the packaging!